Have you ever wondered why the Old Testament contains so many things that seem of little importance today? You know that "all Scripture is important," but why do we need to know the dimensions of the tabernacle and details of the priests' clothes? Here are a few quick takeaways from specifics of the priestly attire as recorded in the book of Exodus. Chapter 28 goes into precise detail in laying out the garments for the high priest. An easy takeaway from this is to see that God is a God of order, one who is involved in the details. But there is more to take away than just that. Verses 5-14 describe the ephod, which was similar to an apron, that contained gold and precious stones. On each shoulder strap of the ephod was to be a gemstone, engraved with the names of six of the tribes of Israel; therefore, the priest would have all twelve tribes “on his shoulders as a memorial.” Since the shoulders are associated with work, the priest would always remember that as he ministered for the Lord, he also worked for the people. 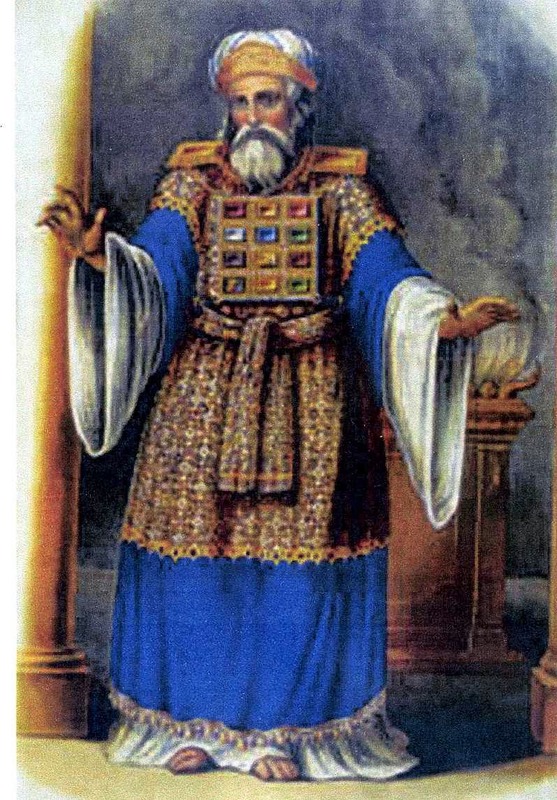 In addition to the ephod, the high priest would also wear the breastplate of judgment. Across this golden plate would be four rows of three gemstones, with each stone bearing a name of the tribes of Israel. This way, the high priest not only carried the tribes on his shoulders, he also had them on his heart. The priest must have love for God’s people, as we should today. The breastplate had a pocket which contained the Urim and Thummin, which were two stones used for discerning God’s plan. One stone was light and one was dark, representing a “yes” or “no” answer from God. When the priest had to make a judgment (thus, the breastplate of judgment), he reached into his pocket and blindly pulled out one stone to get his answer from God. In God’s sovereignty He guided the high priest’s hand to the correct stone. We don’t need Urim and Thummin today because we have the Holy Bible and Holy Spirit. An old country preacher once said that when we don’t know what to do, we should grab the Bible and start usin’ and thumbin’ through it, and we will find our answer. The high priest also wore a turban that bore the inscription HOLINESS TO THE LORD on a golden plate. The priest was set apart (holy) to the work of the Lord, and each time he put on that turban he would be reminded of the manner in which he needed to conduct himself. This reminds believers of the helmet of salvation which covers our minds, and should govern our thoughts and actions. We are set apart to God, so we should live a life of HOLINESS TO THE LORD.